The Accufit Size Data can be shown in any unit of measure that you desire. If changes need to be made, return to Accufit Parameters prior to continuing. When you are satisfied with the dimensions, you can transfer the data to Designer. 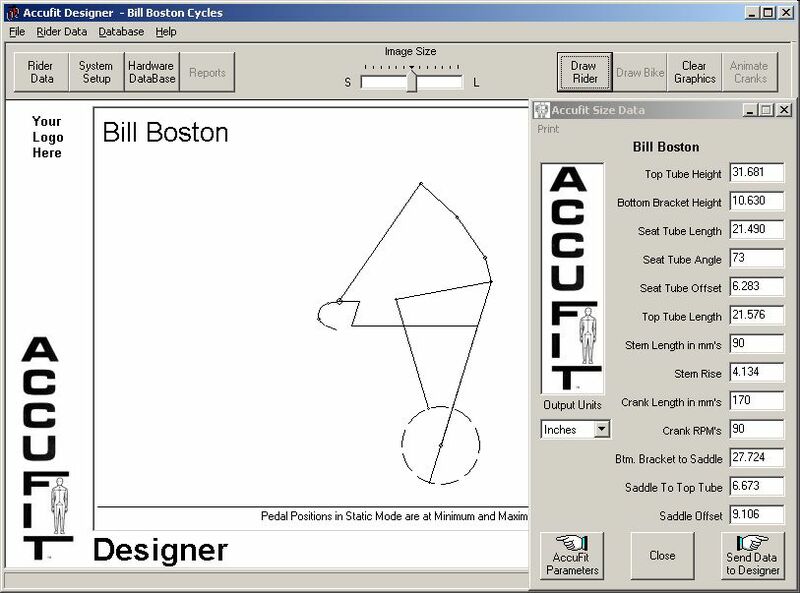 Remember, you can always return to Accufit Parameters if after reviewing the final design, you need to make adjustments to the design. It is recommended that you return to Accufit Parameters to make these changes rather than making them on the Design Parameters form. This graphic is produced by selecting the Draw Rider button at the upper right of the main form. The image size is controlled by the slider in the top center of the main form.